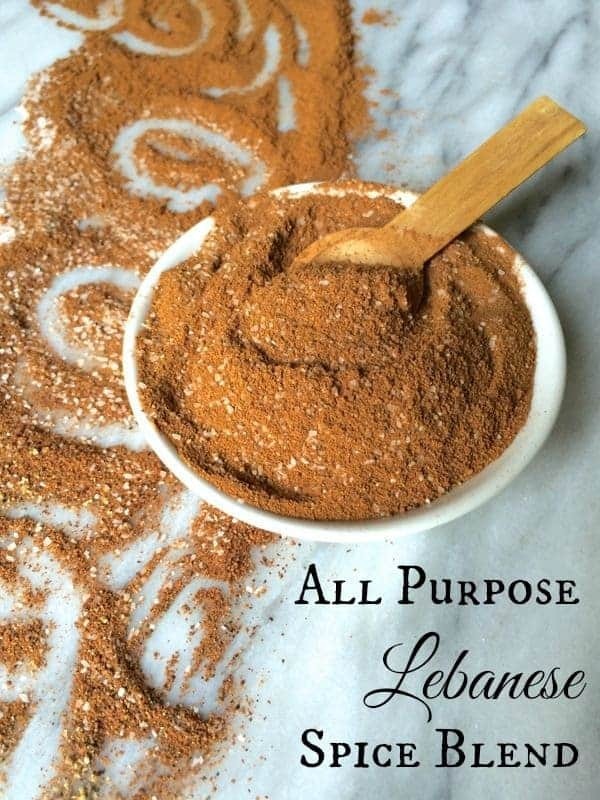 This fragrant All Purpose Lebanese Spice Blend is the secret to irresistible grilled meats, soups, roasts and other Middle Eastern specialties. 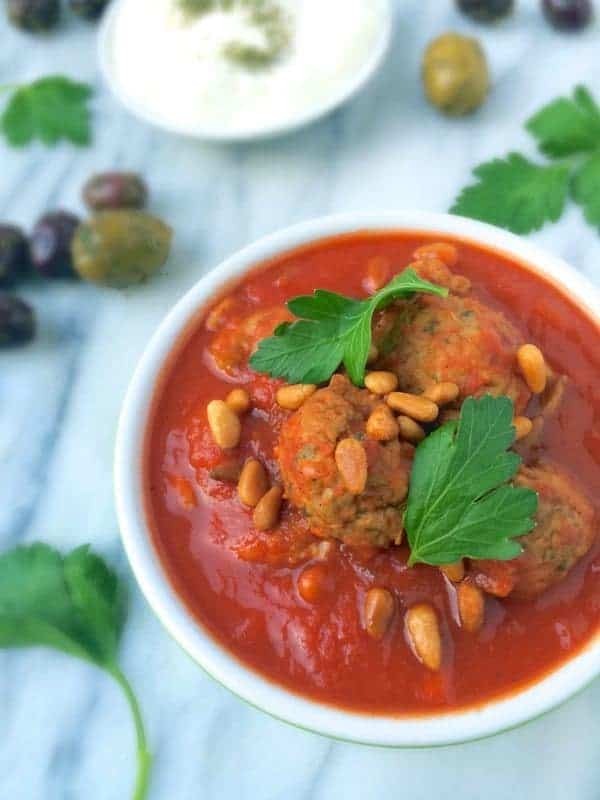 As a busy mother of two young boys under the age of 3, I have become a bit of a master in turning my family’s traditional Middle Eastern recipes into quick and easy weeknight dishes. In fact, I often joke that I am in favor of anything that helps me get dinner on the table before the meltdown train leaves the station. 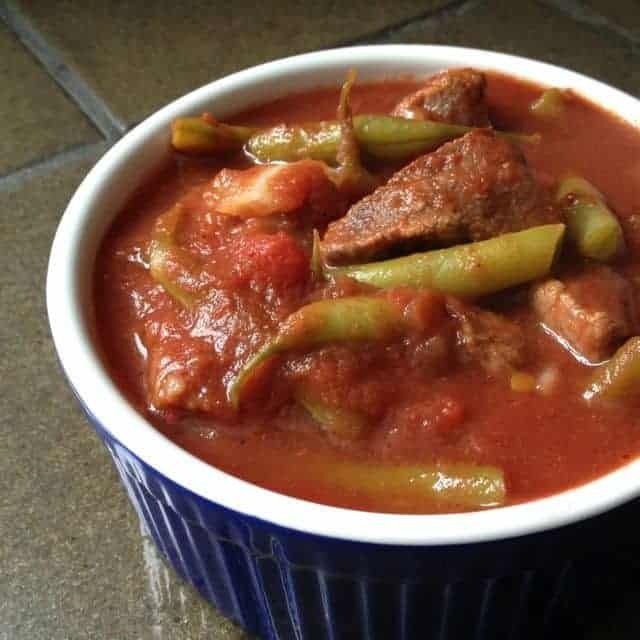 For example, my mother and aunts have been preparing traditional Lebanese Green Beans and Beef for years but I was the first to turn it into a hands-off slow cooker dish. I promise it’s just as good as the classic because my family would be the first to tell me if it wasn’t, trust me on that one. It couldn’t be any easier to make and the versatility is astounding. 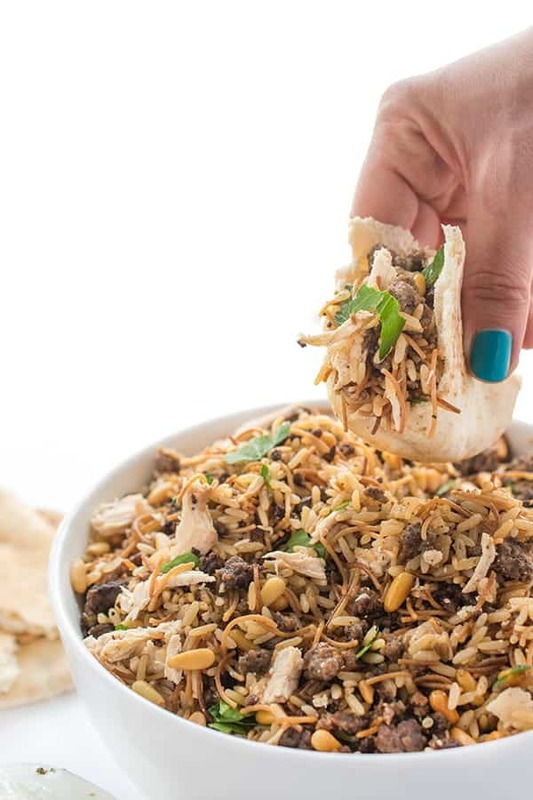 I love making it in bulk, stashing it in the pantry and grabbing it whenever I am craving Lebanese food. We love using this spice blend to flavor Hushwee (Ground Beef with Toasted Pine Nuts), Sfeehas (Lebanese Meat Pies), Grilled Kafta Patties, Beef or Chicken Shawarma and so much more. Try it in Lamb Dumplings in Garlic Yogurt Sauce or Kibbeh Meatballs with Spice Yogurt Sauce. This flavorful All Purpose Lebanese Spice Blend is the secret to irresistible grilled meats, soups, roasts and other Middle Eastern specialties. Combine all ingredients and store in an airtight container until you're ready to use. 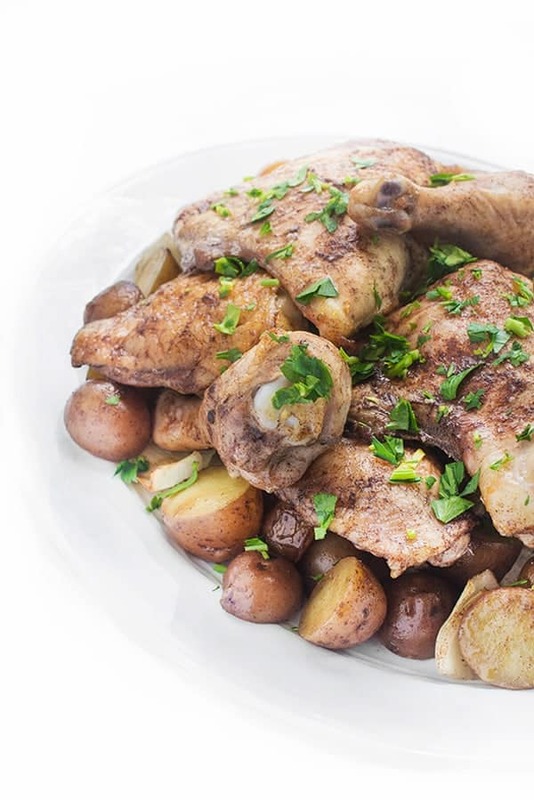 Recipe is designed for one pound of meat. Recipe can easy be doubled, tripled or even multiplied by ten. Spice blend will keep for up to six months stored in an air-tight container at room temperature. What are your favorite flavors and spices to use in the kitchen? Ginger? Rosemary? Lavender? Vanilla? Visit McCormick to create your very own personalized FlavorPrint profile! Disclaimer: I have been compensated for my time to develop this recipe and create this video on behalf of McCormick’s American Homemade program, in conjunction with Kitchen PLAY. Thank you for supporting the brands that make The Lemon Bowl possible. As always, all thoughts are 100% my own. Hello, there is something else in that spice blend that is not listed — I see it in the photo. It looks like sesame seeds…is that Zaatar? Great, thank you! I’ll have to try this. Just discovered your blog and I’m happy to find another Lebanese cook. This is a great idea! I love cooking Lebbo (my father’s side is Lebanese) and you pretty much always use the same spices, so why not blend them? There is a little Lebanese restaurant about 15 miles from our house. It is run by an older Lebanese man and his sons. Small little hole in the wall type of place but my gosh do they have the best gyros and gyro bowls as they call them. We love this restaurant and their food but one of our hobbies (Wife and I) is to try to copy good food at home. Your ALL PURPOSE LEBANESE SPICE BLEND pushed our homemade version over the top! I almost saved some of the roasted zucchini, onions, yellow rice, and tzatziki sauce to have him try our attempt at his food! It was THAT good thanks to your spice recipe. Nothing beats learning to cook from the grandma’s. If you are ever in the Sylvania Ohio area stop by Pita Sub Express. You won’t be sorry. Oh my goodness thank you so much for the tip on the place in Ohio!! And thank you so much for your kind words. I’m so glad you enjoyed the spice blend! Hmm..I’ve never heard of that sausage?? Is it Lebanese? Yes. Found it for sale in amiddle eastern store in mich det metro area. Basturma is Armenian. The spices are not the same. Great flavors! I will definitely be trying this as I love middle eastern food. I’d love to try my hand at making Lebanese food! Your spice mix sounds delicious and love the childhood memories behind it :-) Fun video too! This spice blend sounds wonderful. It reminds me of the Lebanese boyfriend I had many years ago who introduced me to some of the most important foods of the world: string cheese, tahini, hummus and pita bread. The flavors I grew up with were Hungarian (especially sweet paprika), but those no longer call to me. My favorite flavors come from Indonesia, southeast Asia, Greece, the Middle East, Mexico and South America. There are not enough days left in my life for all the wonderful flavors out there. I will definitely be putting this spice blend together. Oh my goodness those ARE the best foods in the world!!! I couldn’t agree more! What an interesting combo for savory dishes! Must try!! Of course I love this post! It is so fun to see you talk about your Middle Eastern roots and your Mom, Grandma and Aunt and how they inspire you. I can totally relate. I am saving this spice blend–can’t wait to try it out! 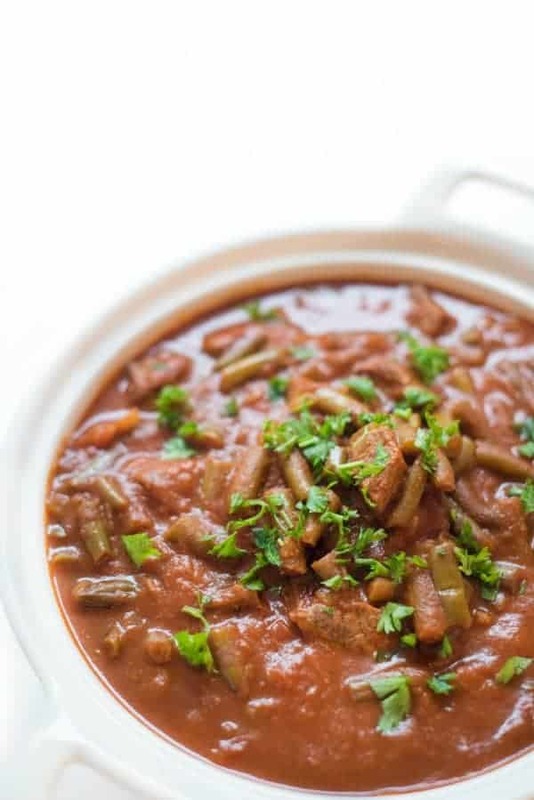 It would be perfect in Lebanese Green Beans! I knew you would love this post!! We are so lucky to have such good food in our family! You know I love this, Liz. My favorite foods. I had a feeling you’d like this one my friend! I can almost smell it. Looks amazing, Liz! I love the sound of this. The warm spices and familiarity makes me smile. Can’t wait to try! First of all, I loved your video. You are a natural behind the camera! But secondly…. I love your Lebanese spice blend. Can you believe I’ve never had Lebanese food before? Time to make a batch of your spice blend and make something delicious! Aww you are so sweet Ashley!! Thank you so much. And are you kidding me?!?! You NEED to have Lebanese food! So fresh and healthy and flavorful!! I can only imagine how much flavor this spice blend brings to food. YUM! The warm spices are really a nice surprise in savory dishes! My fork IS waiting! That looks like great stuff! Liz, how much is a serving of your spice blend. I’m making Lebanese Green Beans for our parish priests. I made the spice blend, but wondered how much to use? 1 teaspoon!! Sorry about that. Enjoy! My mouth and fork will be waiting! Love this X a zillion! I need to make a batch of this for my kitchen! You would love it Gaby! Hi Liz, thanks for the great recipes! For me too, it always comes back to Lebanese food. My mother was a chef & pastry chef. She can make just about anything and it’s always amazing. Although she brought us up eating foods from all different cuisines, she’s 100% Lebanese and it was always those foods that were really special to me. Luckily, she is a great teacher and has been very generous with her time, patience, and recipes with me, so that now, I’m a pretty good cook, too. We use a few different words for our dishes than you do, but the recipes are pretty similar. So, thank you again! I love your blog! Wow that is such a great story Sara! That is so amazing that your mom was a pastry chef! Thank you so much for sharing. :) And thank you for your sweet words on the blog – let me know if you try any recipes! You’re probably not surprised that I LOVE this Liz. I am all over these flavors. I love that a little bit of this spice adds so much flavor and zero calories. Can’t wait to check out the green beans and beef recipe. Thank you so much Katie!!! I am all about flavor without the cals!